The sentiment “this never would have happened if Steve Jobs was still alive” gets thrown around a lot these days. It is mostly nonsense, and a lot of the time the people saying it really have no idea what they are talking about. Most people that understand technology and Apple also understand that the modern day Apple has strengths and weaknesses just like the Jobs-era Apple had its’ strengths and weaknesses. However, there is one singular moment, since the death of Steve Jobs, that was so uncharacteristically bad, that the ‘never would’ve happened if Steve was here’ sentiment perfectly sums up the debacle. And that one moment is the Apple Music presentation during WWDC 2015. Jimmy Iovine had clearly not rehearsed enough, began rambling about nonsense, and also began slurring his words. It didn’t help when rapper Drake came up after Iovine and began rambling about some nonsense that was, at best, loosely related to the new music streaming service. 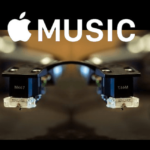 It’s also uncharacteristically complicated by Apple standards, with everything from a global terrestrial radio station to numerous suggested playlists for different purposes in different places. And the company offers very little guidance on how to navigate its many features. It will take time to learn it. And that’s not something you’re going to want to do if all you’re looking for is to lean back and listen. Despite these shortcomings, Apple Music has been extremely successful. The service has reached over 13 million subscribers in its first year, while competitor Spotify has 30 million, however has been around over five years. One of the main reasons users seem to stay at Spotify over Apple Music is Spotify’s student subscription. Users with .edu email addresses can use Spotify for just $4.99 a month in the US, a major discount sure to entice millions of customers. This has been a Spotify-exclusive deal for quite a while, until last week when Apple launched the same deal on Apple Music. If you are a student with a .edu email, click on your profile in the ‘For You’ tab, view your Apple ID, and change your subscription. It’s that simple. 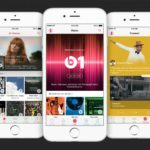 Nearly a year after Apple Music’s debut, Apple is preparing to announce its streaming music service’s first end-to-end overhaul, according to multiple sources familiar with the changes. 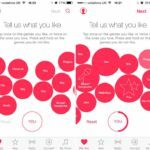 The changes are expected to be shown off at Apple’s Worldwide Developers Conference in mid-June… the new version of Apple Music, which Apple recently announced has 13 million users so far, focuses on a redesigned user-interface, a few new functions, and reorganization as well as simplification of existing features. The revamp is said to revolve around an all-new design, the main gripe users had with the original launch last year. In addition, the app will include changes to the ‘For You’ tab, and the possible integration of ‘connect’ into the tab. 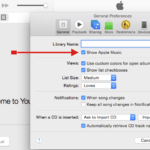 New features such as support for song lyrics and an updated Mac app are expected as well. I often say “never buy a first-generation Apple product, because the second-generation is always the best”. While, yes, the original Apple Music had its issues, people still bought into it. 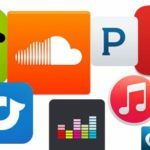 And now, with Apple preparing a major relaunch with many of these issues fixed, it is likely users will begin flocking to the service, and begin using it over purchasing music. Let’s just hope Jimmy Iovine doesn’t come on stage this time. 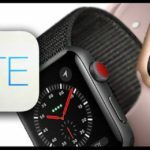 Buying An Apple Watch 3? Switch From Spotify to Apple Music? 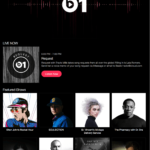 Is Beats 1 the only option after Jan 28th?